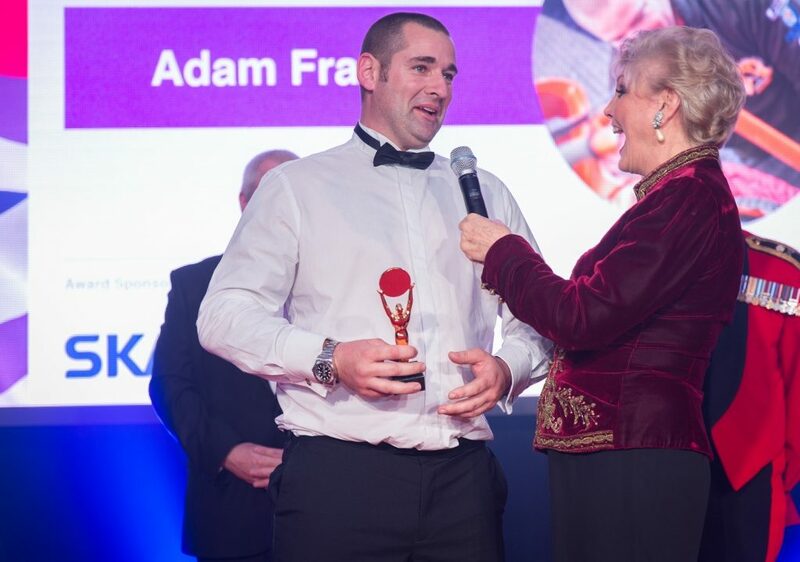 Our immense thanks to everyone who made this year’s awards evening the best yet! 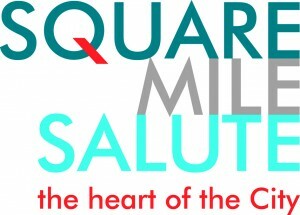 In recognition of an individual, group or organisation who have made a major contribution to the prevention of ill health or injury, or have provided exceptional skill and commitment to Healthcare treatment, or the recovery and rehabilitation from ill health or injury, of serving and former members of the Armed Forces. 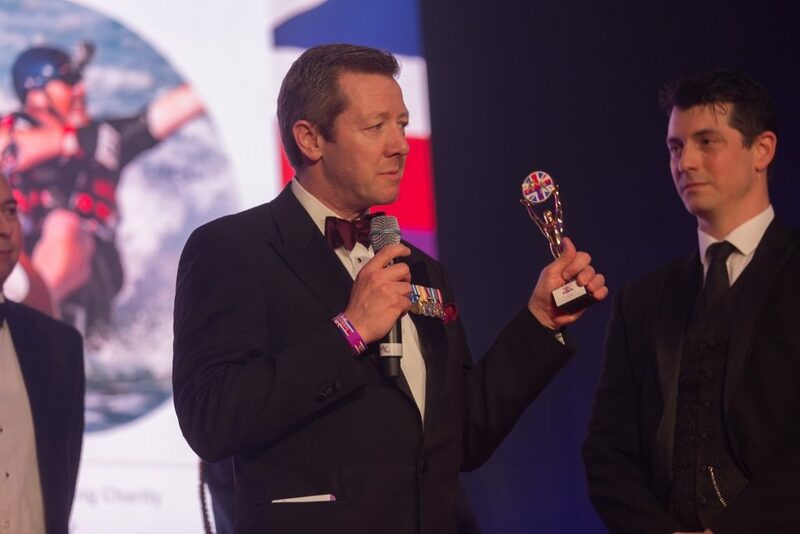 Mr Ash Clare – A founding architect of BattleBack, Ash has dedicated the past eight years supporting wounded, injured and sick personnel from across the Armed Forces. The Battleback programme has supported more than 1500 individuals through their recovery in activities such as sailing, swimming, cycling, rock climbing, horse-riding, water-skiing and alpine skiing. Using Adaptive Training and Sports as a vehicle for Rehabilitation, Battle Back programmes promote confidence and independence .. and accelerate physical, psychological and social recovery. In recognition of an individual, family or group whose selfless commitment, dedication and support for others in ensuring that they are cared for, is a shining example of Family Values. 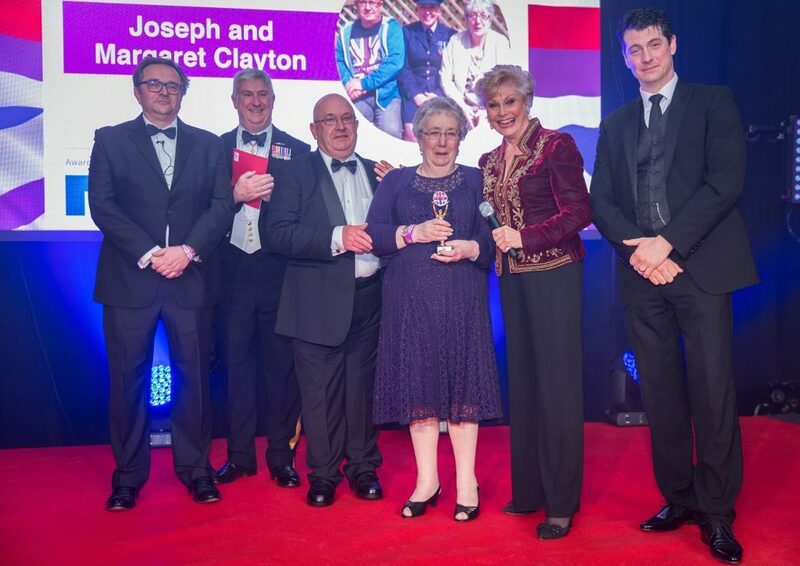 Mr & Mrs Joseph Clayton – Nominated by their daughter, because of the numerous times they’ve stepped in to look after their two grand-children… when she and her husband have been called away on duty simultaneously. Daughter Sharon explained – there is no mechanism to recognise the unsung heroes – our families – that support us 24/7. And who are always there when we need them. Their loyal service allows us to serve our country. In recognition of an individual or group who have overcome their disability or injury to excel in the field of sport. Owen Pick – Owen – then aged 18 – was halfway through his first tour of Afghanistan when he was thrown ten feet into the air after standing on an IED. Waking up in the UK and undergoing dozens of operations – he eventually opted for a below knee amputation. 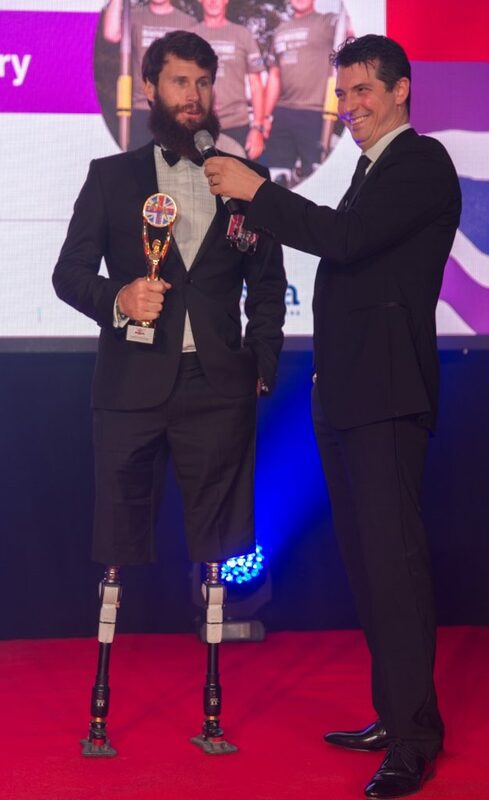 Blesma helped him discover his love of snowboarding after his medical discharge and within 18 months he was hurtling up the world rankings, beating able-bodied competitors. Owen is now ranked 7th in the World, and is on target for a podium finish in the 2018 Winter Paralympics in South Korea. Blesma Row to Recovery – In 2016 Four men with three legs between them decided to row across the Atlantic and in to the record books. The Blesma Row2Recovery Atlantic Mission became the first all amputee crew to row the 3000 miles from the Canary Islands to Antigua. It took them 1.4 million strokes and 46 days… but they received a heroes’ welcome when they arrived, finishing eighth out of 26 teams. In recognition of an individual or group who, in spite of major personal challenges, injury or disability, have set an inspiring example to others, embodying the Spirit of Soldiering On. A civilian HGV driver, Adam was serving with the TA in Afghanistan when his vehicle struck an IED. He suffered multiple, major injuries – including losing both his legs. 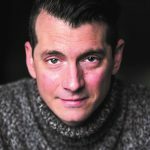 When he woke up in intensive care in the UK he set his first goal – to get home to his young family for Christmas, a month away. He managed it. 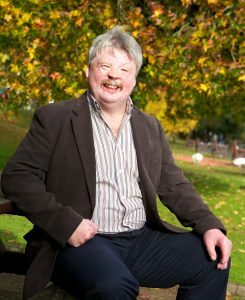 He later returned to his driving job – passing his test without telling his examiner he was an amputee. He also returned to riding his beloved motorbike – after meeting True Heroes Racing. Remembered by all he meets, his company now also employs him as an inspirational speaker. 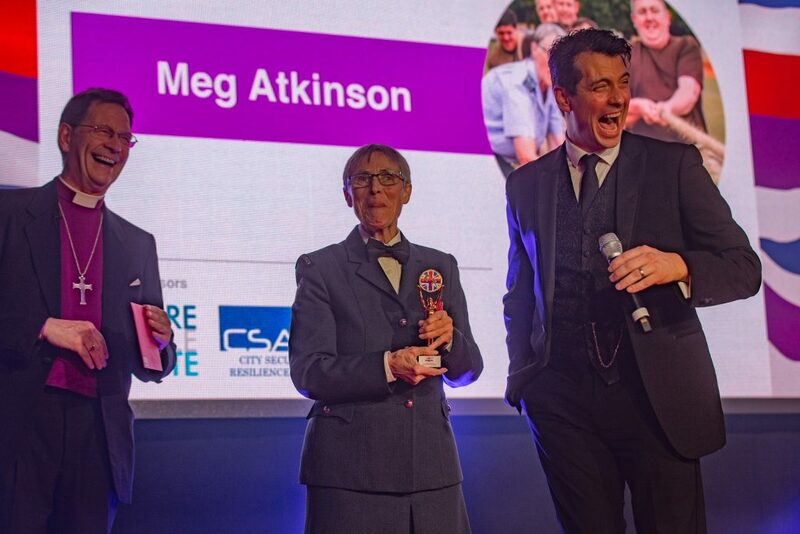 In recognition of an individual, team or organisation that has demonstrated an enduring commitment and collaborative approach to supporting the sector within the wider community. Age UK Nottinghamshire has formed a partnership with the Royal British Legion in the East Midlands. 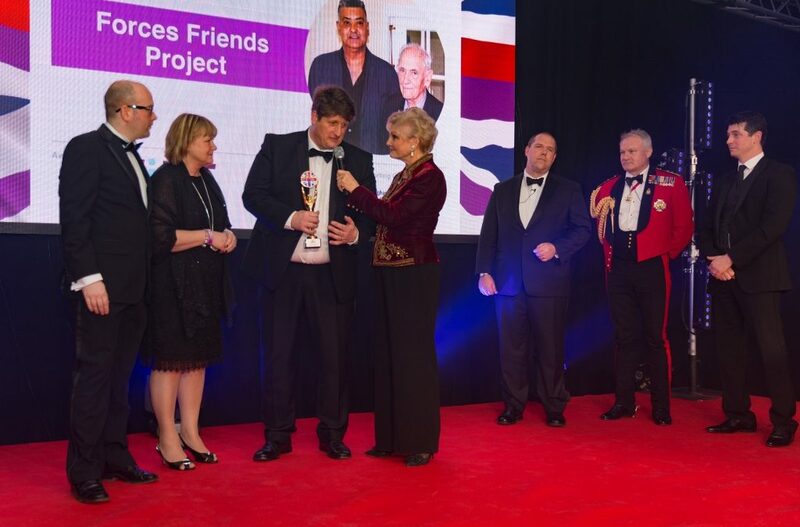 Together they’ve developed the ‘Forces Friends’ Project. It provides a befriending service to support lonely and socially isolated veterans living in Nottinghamshire. As a short-term intervention it helps former service-personnel to re-engage socially, develop confidence and become involved in their wider community. 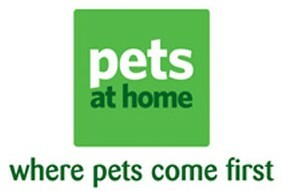 In recognition of the special companionship and support provided by Animal Friends as well as the achievements of individuals, groups or organisations that support and provide them. 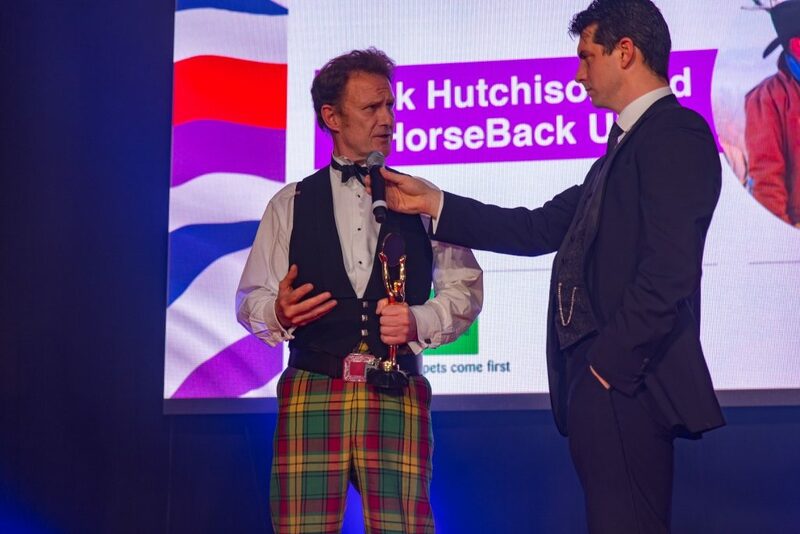 Jock Hutchinson set up Horseback UK when he was made aware of sixteen young Marines that had been injured in Afghanistan. He thought it would be a great idea to get the lads up to the farm for a while to get away from the clinical part of their recovery. Today, HorseBack UK is a unique charity delivering mental and physical rehabilitation to predominantly Military personnel via horsemanship and outdoor activities. 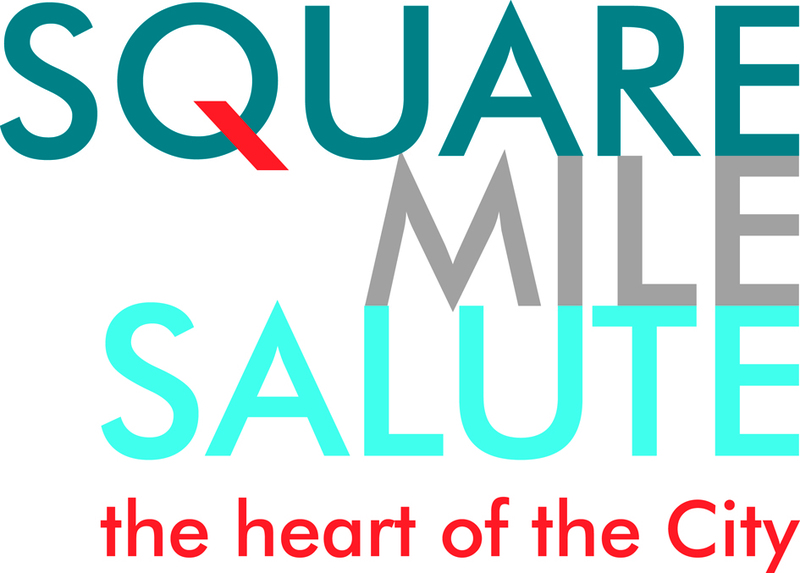 In recognition of an individual, group or organisation who have demonstrated sustained innovation, providing business and enterprise solutions to challenges faced by service men and women, their families and the Armed Forces Community as a whole. 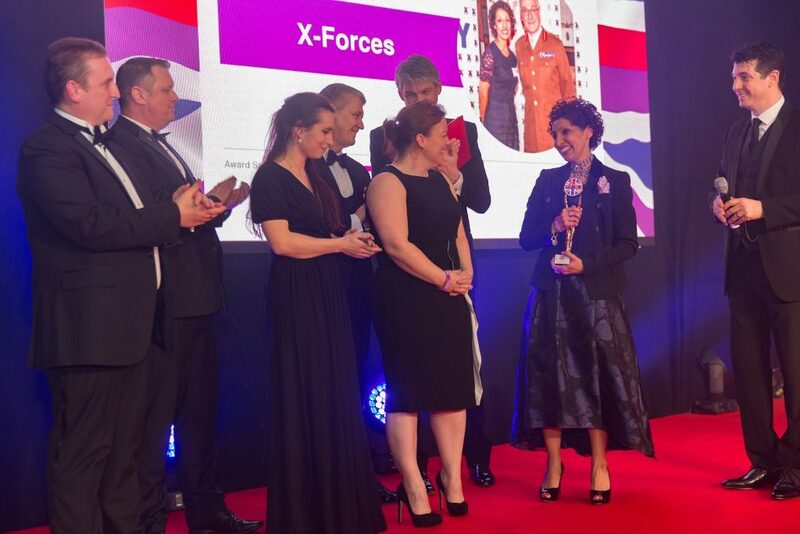 X- Forces – X-Forces offers an holistic approach to helping members of the military community by bringing together Government, charity and big business to help individuals launch their own companies. X-Forces smashed a glass ceiling by lobbying for policy change to improve access to Start Up loans when barriers of age and credit history had previously been a hurdle. Over three years they’ve helped 700 entrepreneurs including service-leavers, reservists and cadets. A nomination to be considered for recognition and selection through a public vote via one of the UK’s leading national newspapers. 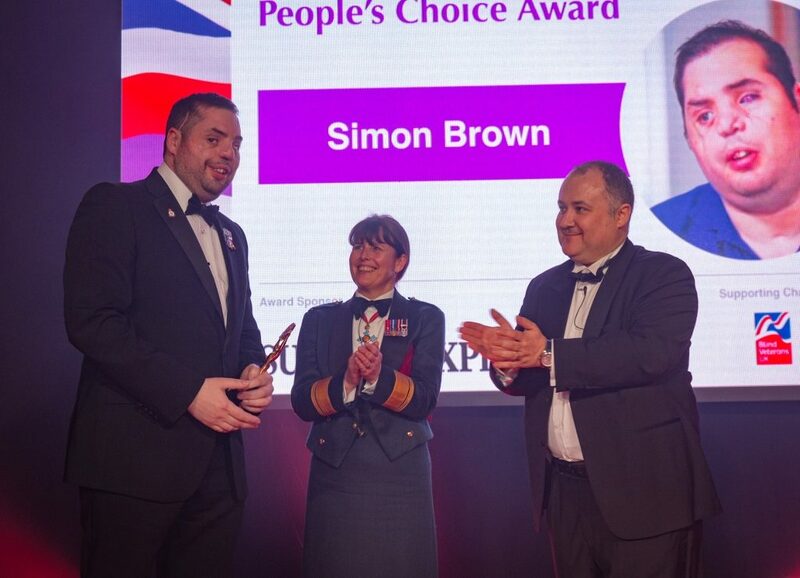 Nominated by Blind Veterans UK, Simon had just successfully led a mission in Iraq to rescue six stranded colleagues when he was shot in the face by a sniper and had to be put into an induced coma, after initially giving himself first aid. Simon has dedicated himself to working with charitable and voluntary organisations, using his experience to motivate others. Thanks to his perseverance, good humour and positivity, many ex-Service men and women living with severe sight loss are receiving life changing support. In recognition of outstanding achievements, acts of personal sacrifice or comradeship demonstrated internationally, by individuals, groups or associations which have supported the British Armed Forces Community. 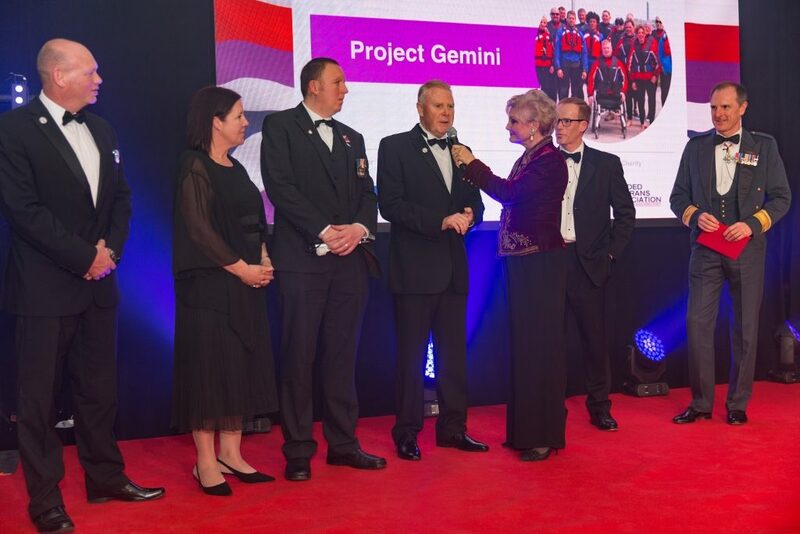 Project Gemini: Set up in 2011, Project Gemini brings together British and American veterans who have lost their sight… many as young soldiers in Iraq and Afghanistan. 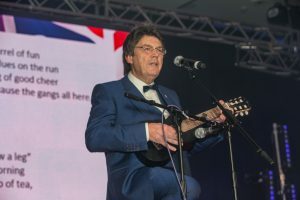 Its designed to share knowledge of rehabilitation and training as well as strengthen trans-Atlantic relations between Blind Veterans UK and the Blinded Veterans Association, which is headquartered in Washington. It is a perfect example of international cooperation between the two countries and the Armed Forces Communities. Every year they meet up to share stories, take part in sporting activities such as cricket and archery – and to learn from each other. 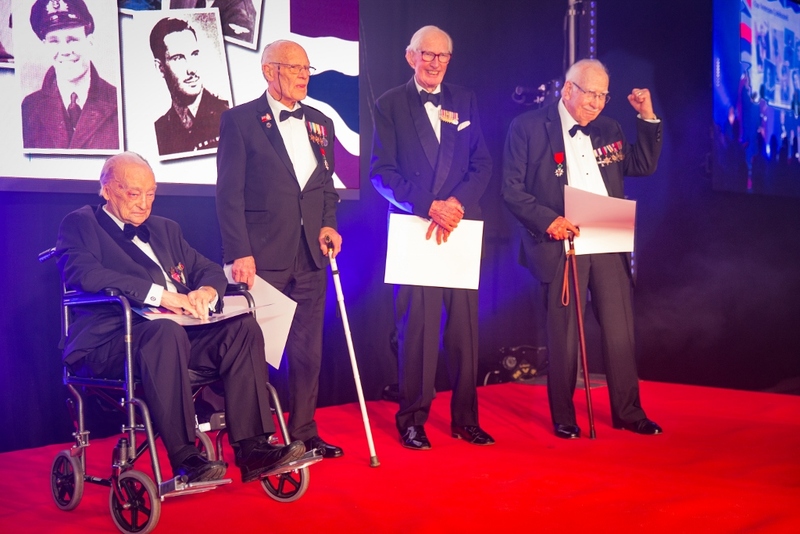 In recognition of an individual or group whose lifetime of dedicated service has provided a significant contribution in support of the Armed Forces Community. SASRA Scripture Reader Meg Atkinson (MBE) – Described as a ‘walking morale boost’… For 42 years Meg has provided faithful service as a Scripture Reader – one of the SASRA – Soldiers’ & Airmen’s Scripture Readers Association members. Now based at RAF Brize Norton, she is the only Scripture Reader to wear the light blue uniform as all others are based in Army units. As Brize is operational 24-hours a day – she visits those on the base at night and on weekends too. 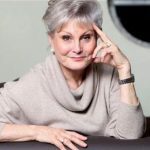 In 2009 she was recognised for her ministry and awarded an MBE. She’s never without her infamous bag of Meg’s Mix – a selection of treats to bring a smile to those she meets. 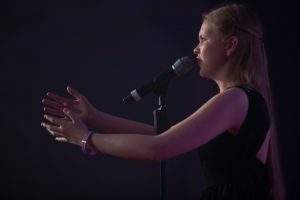 Meg has previously said – “I have been privileged to experience some wonderful memorable moments but none compare to the memorable moments of leading service lads and lasses to the Saviour. Those moments will last into eternity”. In recognition of an individual or group whose dedication to the military family has provided a significant contribution in support of the Armed Forces Community. Sixteen year old George Taylor comes from a unique family…where three generations are dedicated to supporting military personnel, past and present. Dad Dave is a Poppy Appeal organiser for Gravesend. Mum Cheryl – sister Katie along with their Nan have been trialling a Veterans Breakfast Club in their region, amongst many other events. Each and every member of the family gives their support to the Royal British Legion’s Poppy Appeal..all year long. When The Sir Galahad landing craft was bombed during the Falklands War, 48 of Simon’s comrades and crew were killed. He survived. He Suffered 46% burns and underwent more than 70 reconstructive operations. 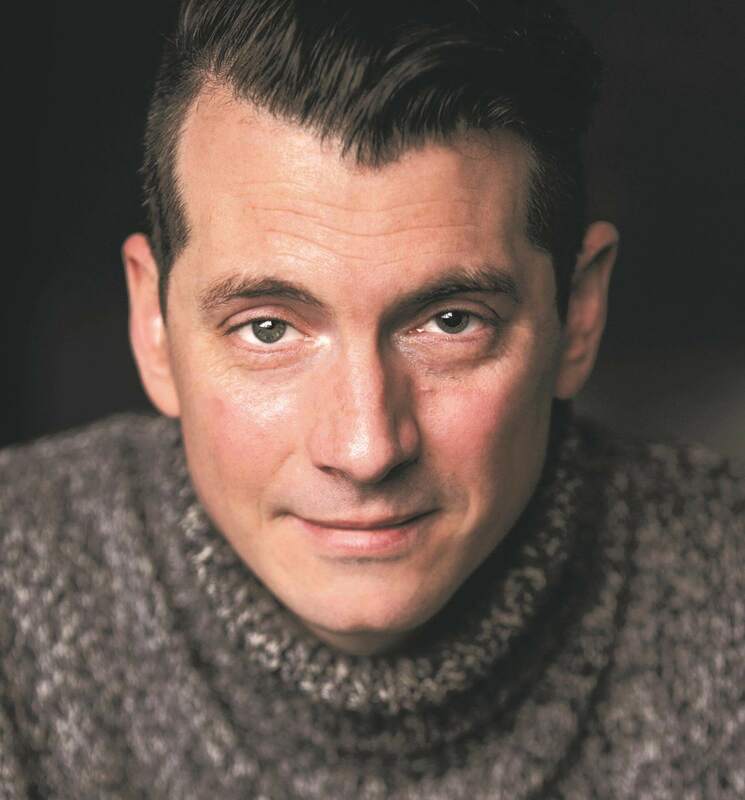 He soon turned his focus to charity work and his road to recovery saw him active in a number of highly successful ventures, including several books and documentaries. He earned an OBE in 1992 and was later awarded the Freedom of the City of Liverpool. Simon is now a CBE and his single minded determination inspired a generation of service personnel – to not only serve but to accept what is – and to turn it to your advantage. Many thanks to all of those who gave their support on the night! 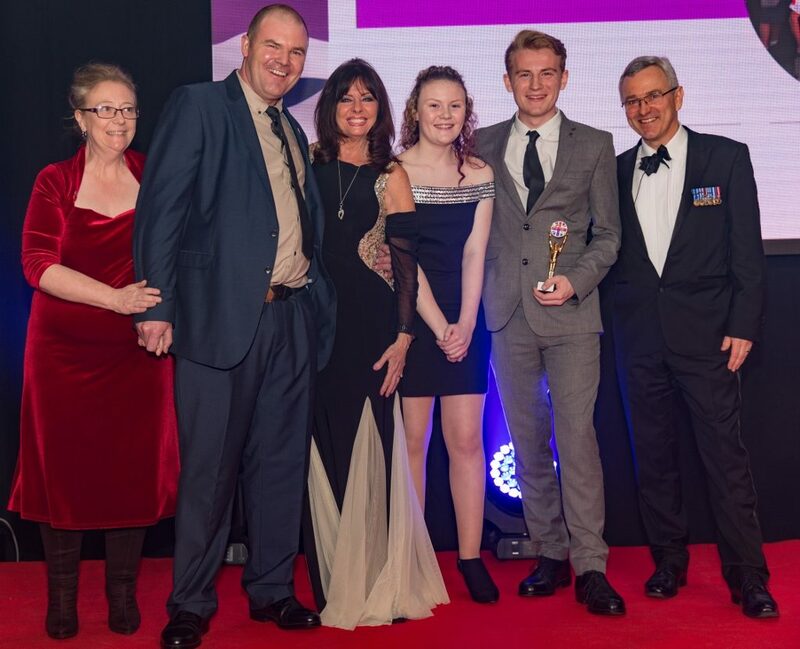 The nominations for the 2018 Soldiering On Awards coming soon! Sign up for mailing list updates and nomination forms.